USP: Antique & Elegant design. System for using mosquito repellant material. Only lamp with such high light output. Matching up with the ever increasing requirements of the customers, our company is engaged in providing Kissan Kerosene Lamp. 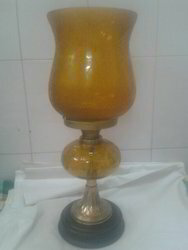 We provide kerosene lamps manufactured from high grade of raw material. Our range of kerosene lamps is available in several specifications of shape, size and fuel capacities. Our lamps are of high quality metal that enhances performance and durability. These lamps are available in threaded/rolled edge collars and burner. 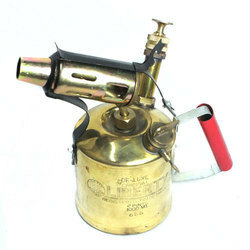 Our highly valued customers can obtain from us an exclusively range of Brass Pressure Kerosene Blow Lamp at very nominal price range. .